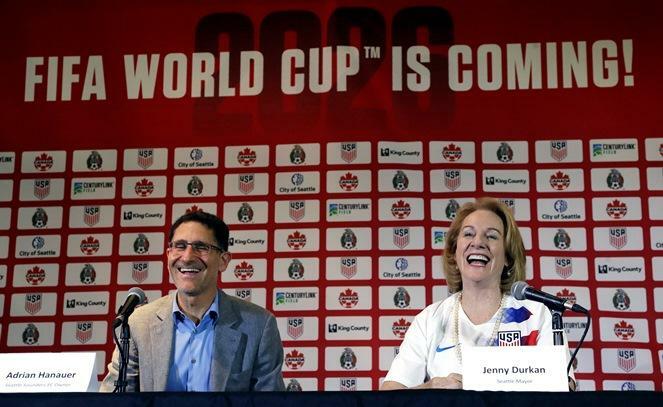 Seattle wants to be part of the 2026 World Cup soccer tournament. It was announced this week that the United States, Canada, and Mexico will host the international competition in eight years. 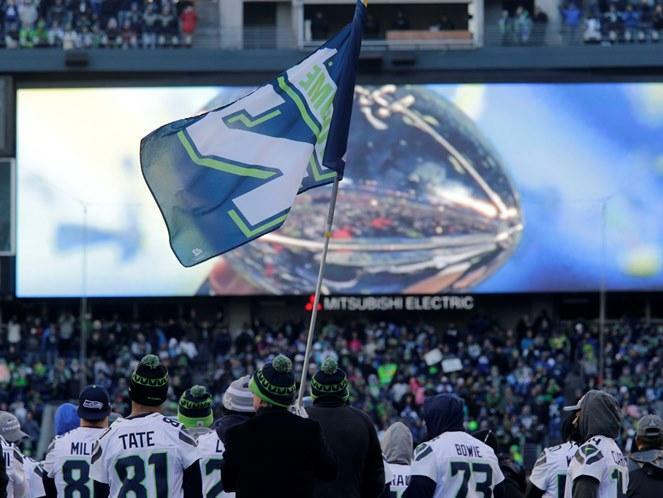 Seattle is vying to be one of the 10 U.S. cities to host the games in North America. 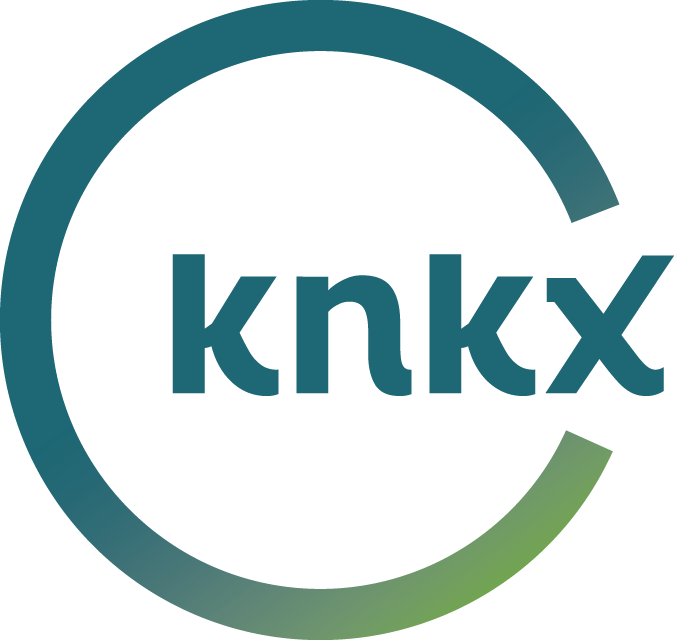 KNKX sports commentator Art Thiel told KNKX Morning Edition host Kirsten Kendrick the city has a good chance but it’s not a certainty. 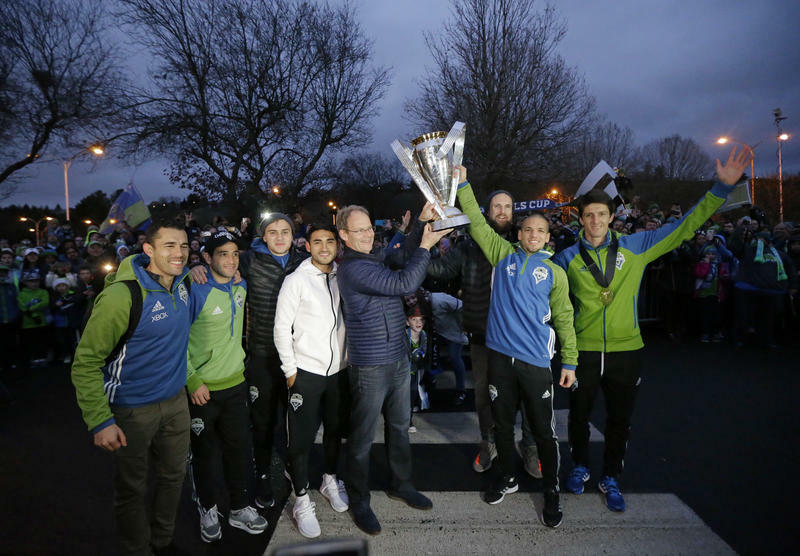 The MLS Cup champion Seattle Sounders arrived home to a big crowd of fans in "rave green" following their dramatic victory over Toronto FC on penalty kicks. 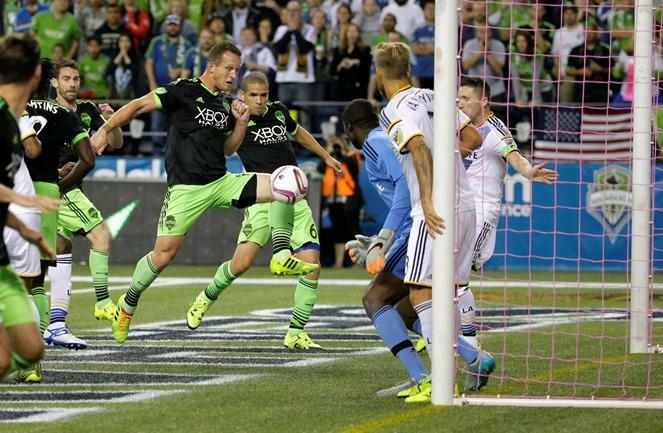 As homecomings go, the MLS Cup final is going to be hard to beat for Seattle's Stefan Frei. The Swiss goalkeeper, who was drafted by Toronto in 2009 and spent five seasons with the club until he was traded in 2013, earned the game's MVP honors. 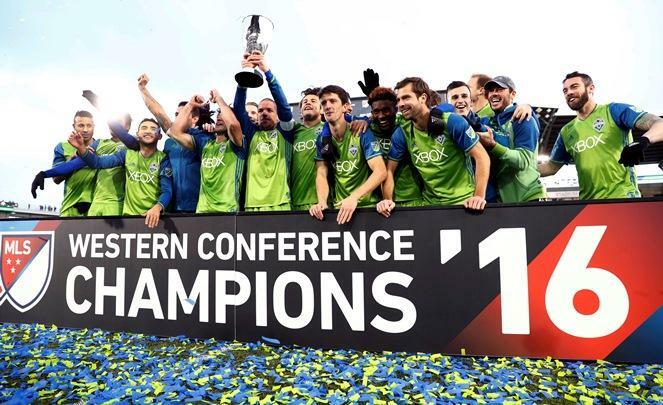 Jordan Morris scored in the 56th minute and the Seattle Sounders advanced to their first MLS Cup, beating the Colorado Rapids 1-0 on Sunday in the second leg of the Western Conference final. 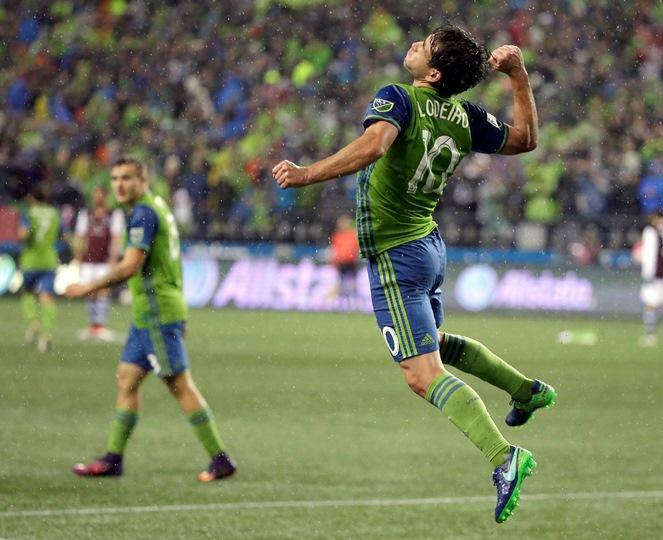 Nelson Haedo Valdez set up the goal to help Seattle take the series 3-1 in aggregate scoring. 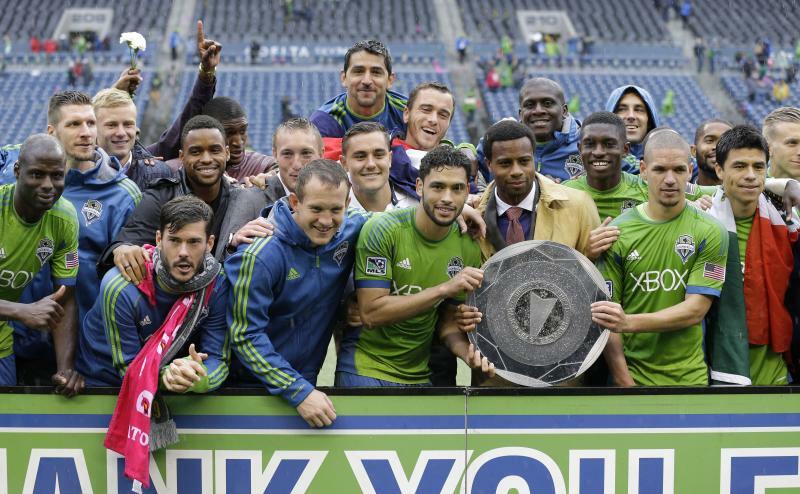 The Sounders will play Toronto or Montreal on Dec. 10 for the league title. Toronto hosts Montreal in the second leg of the Eastern final Wednesday night. The Impact won the first leg 3-2 in Montreal. 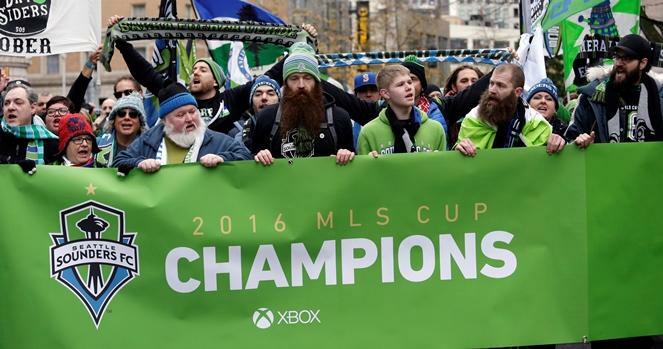 The Seattle Sounders play the Colorado Rapids Sunday afternoon in Colorado in the second leg of the Western Conference Finals. 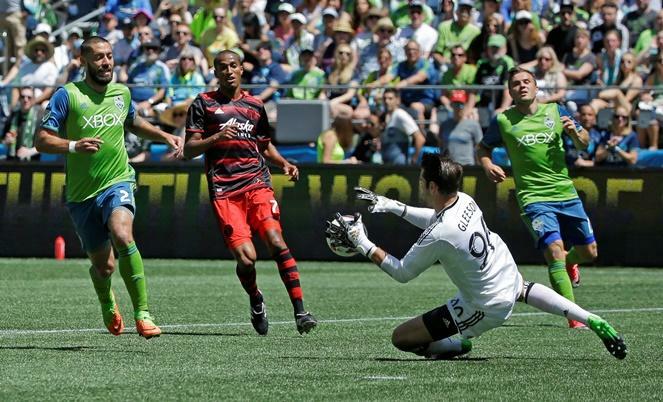 The Sounders won the first match Tuesday night, 2-to-1. 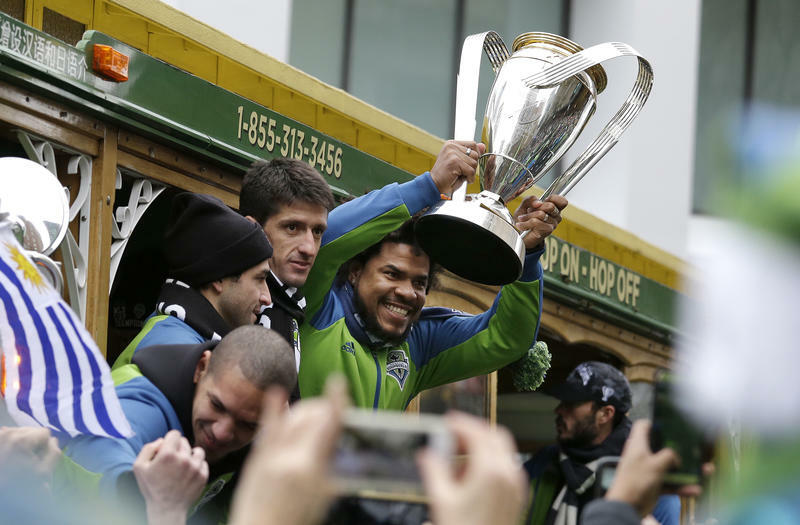 Sports commentator Art Thiel talked with 88.5's Kirsten Kendrick about what needs to happen to send the Sounders to their first MLS Cup. 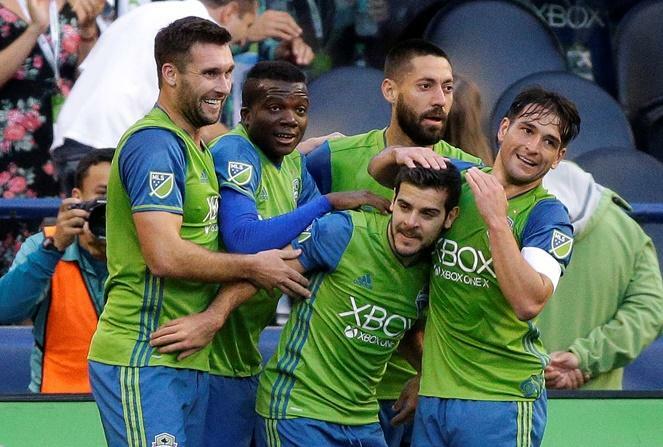 Nicolas Lodeiro scored twice and Nelson Valdez added a goal — all in an 8-minute span early in the second half— and the Seattle Sounders rolled past FC Dallas 3-0 on Sunday night in the first leg of the MLS Western Conference semifinals. Dallas, winner of the Supporters Shield with the best regular-season record, now must score at least three times when the teams play the second leg in Frisco, Texas next Sunday to keep its season alive. 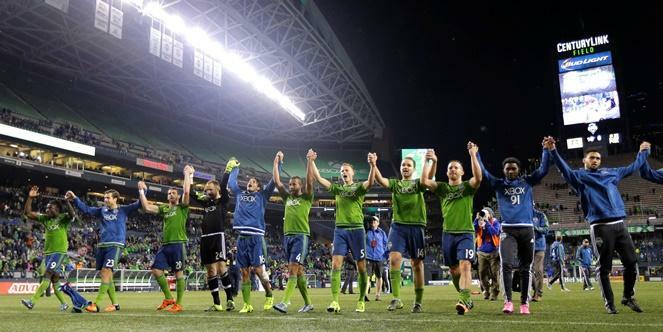 The Seattle Sounders play the Vancouver Whitecaps in British Columbia Sunday evening. 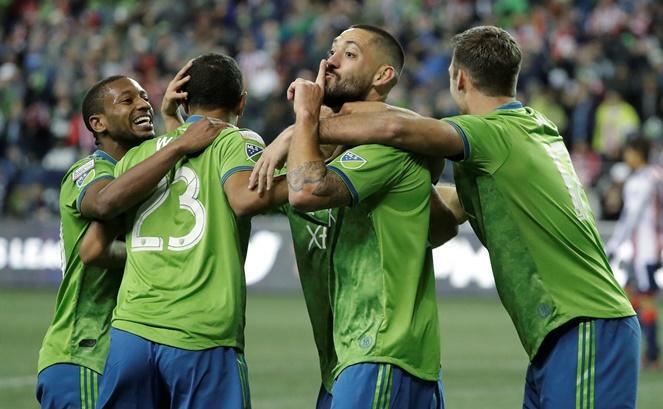 They’re coming off a big win this week that earned them the sixth and final playoff spot for Major League Soccer’s Western Conference with just four regular season games left to play. 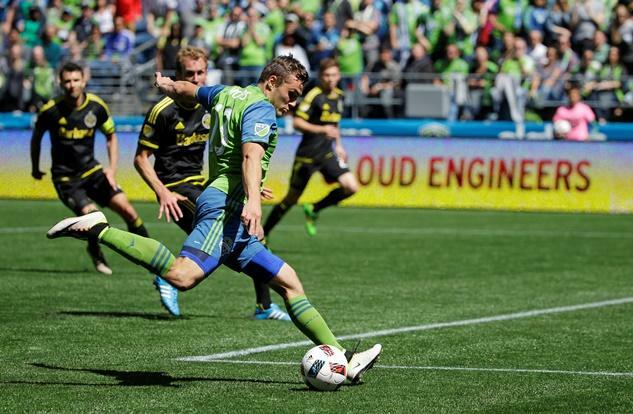 The Seattle Sounders host the LA Galaxy Sunday afternoon at CenturyLink Field. KPLU sports commentator Art Thiel explains the nationally-televised match comes after a tumultuous week for the team. 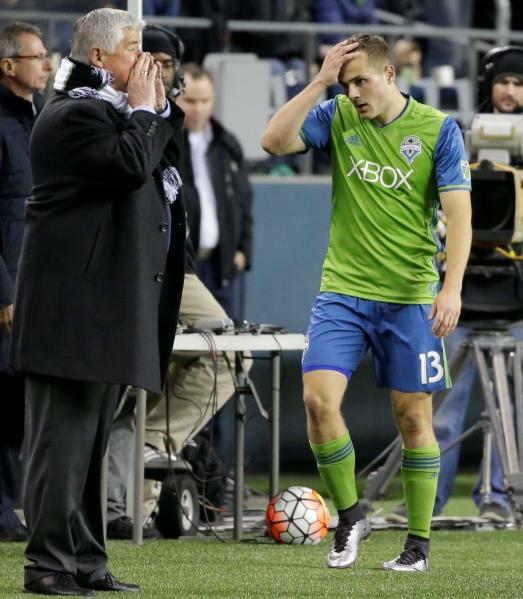 Coach Sigi Schmid was fired and a new Designated Player was acquired. 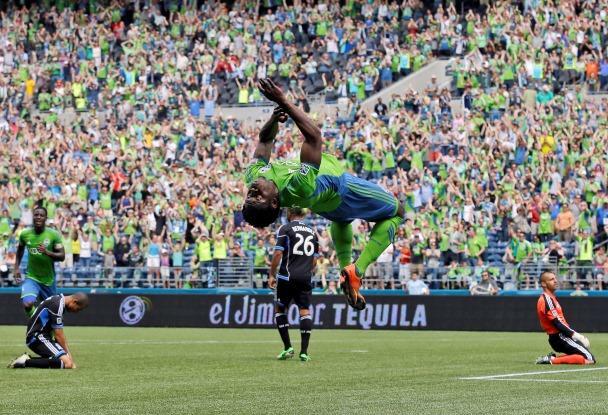 The Seattle Sounders head into a two-week Major League Soccer break on a high note. They beat D.C. United on Wednesday, giving them their first road win of the season and breaking a three-game losing streak. 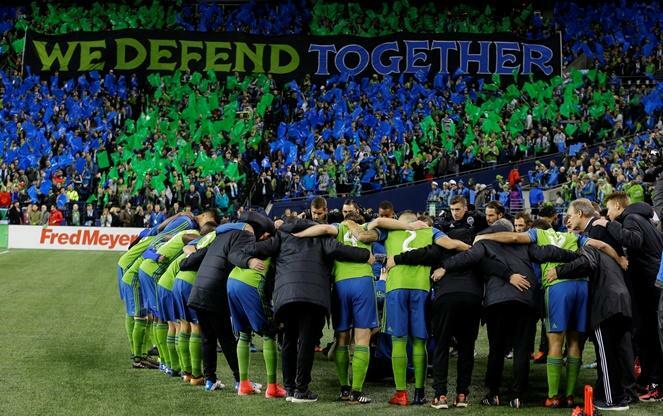 KPLU sports commentator Art Thiel says changes are coming soon that could help the Sounders turn their season around. 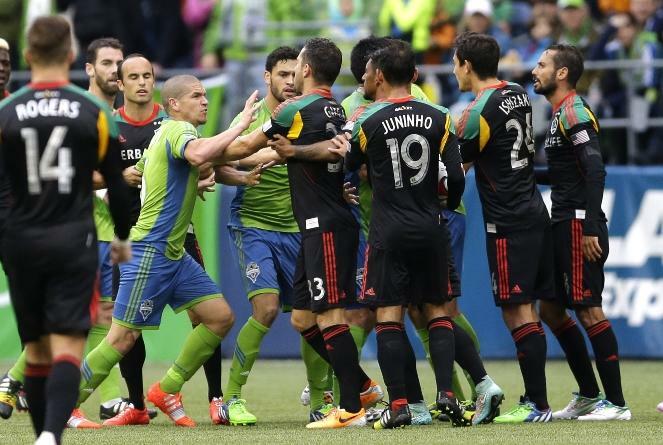 The Seattle Sounders have a break from Major League Soccer play until April 2. But their best players aren’t getting a rest. KPLU sports commentator Art Thiel says that’s not helping the team, which is off to the worst start in franchise history. 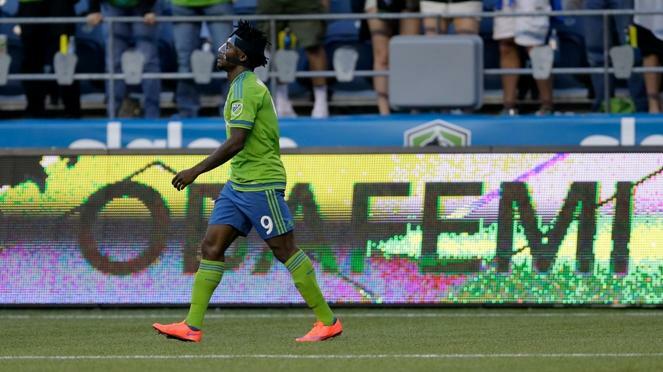 The Seattle Sounders and their fans are likely still reeling from the surprise departure of leading scorer Obafemi Martins to the Chinese Super League. KPLU sports commentator Art Thiel says that, amid the shock, there is a bit of a silver lining. 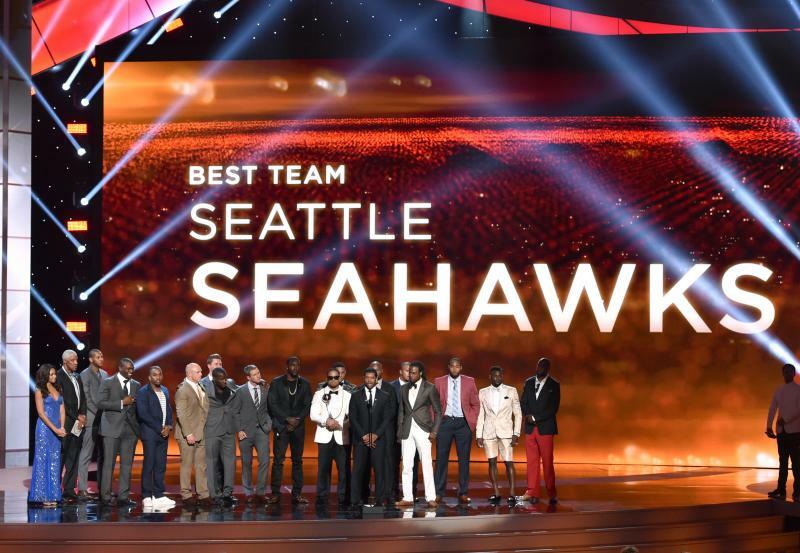 2015 was filled with a lot of highs and lows for Seattle sports fans. 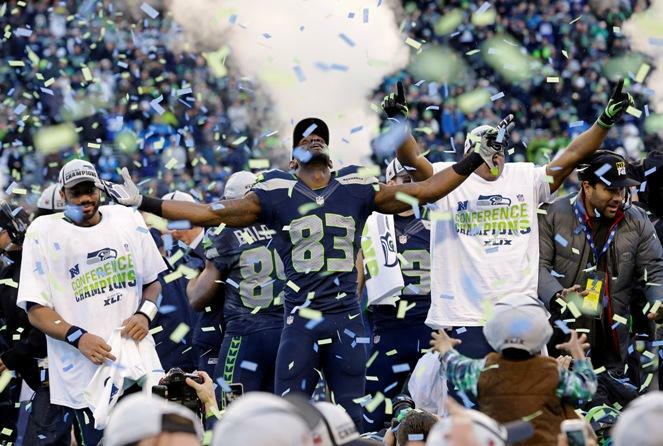 KPLU sports commentator Art Thiel breaks them down. 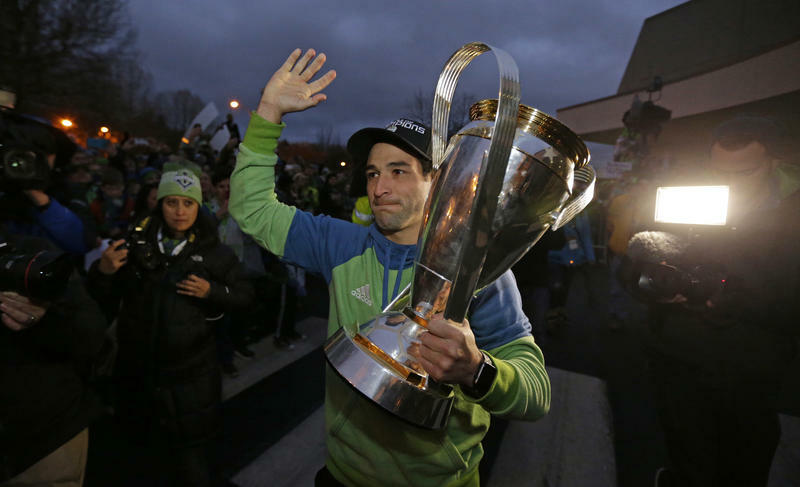 The Seattle Sounders will face No. 1 seed FC Dallas in the semifinal round of Major League Soccer’s Western Conference playoffs. The first match of the two-game series happens Sunday at 6:30 p.m. at CenturyLink Field in Seattle. 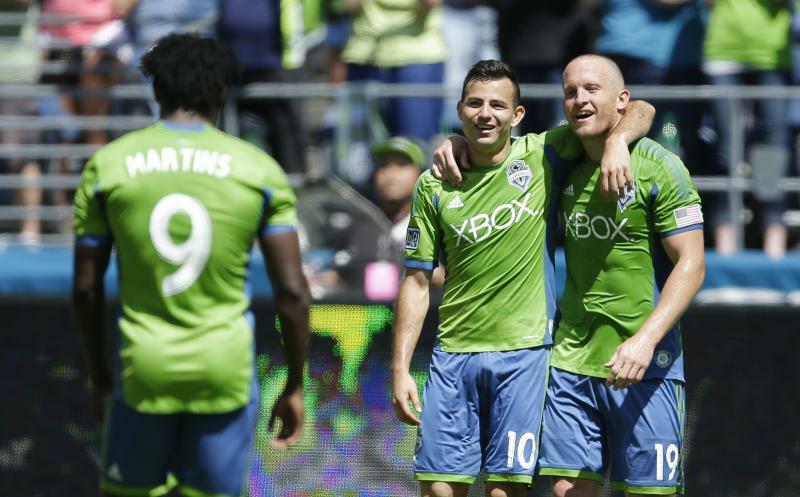 The Seattle Sounders host the Colorado Rapids at CenturyLink Field Saturday night. KPLU sports commentator Art Thiel hopes they do better against the last-place team in the Western Conference than they did against the last place team in the Eastern Conference last weekend. 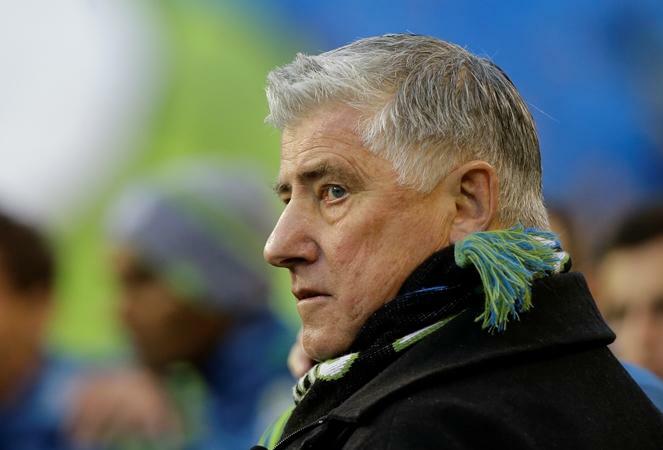 He says the Sounders need to end their slide quickly. 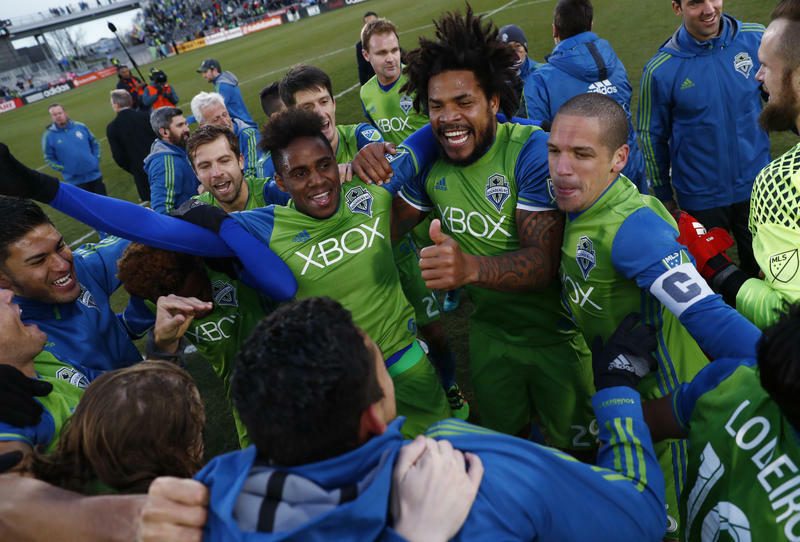 The Seattle Sounders kick off their 2015 season Sunday night. 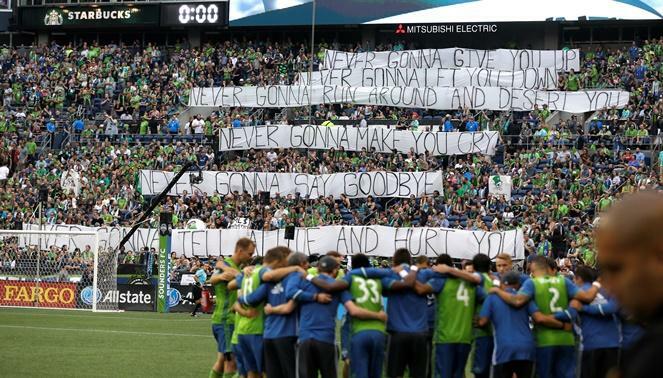 They host the New England Revolution at 6:30 at CenturyLink Field. 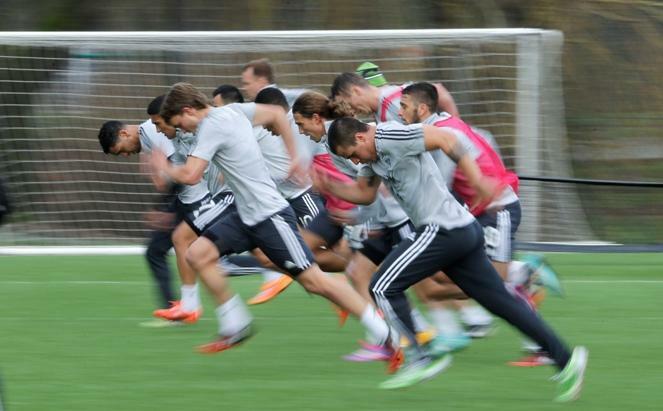 The Major League Soccer season begins with a brand new contract between the league and its players’ union. 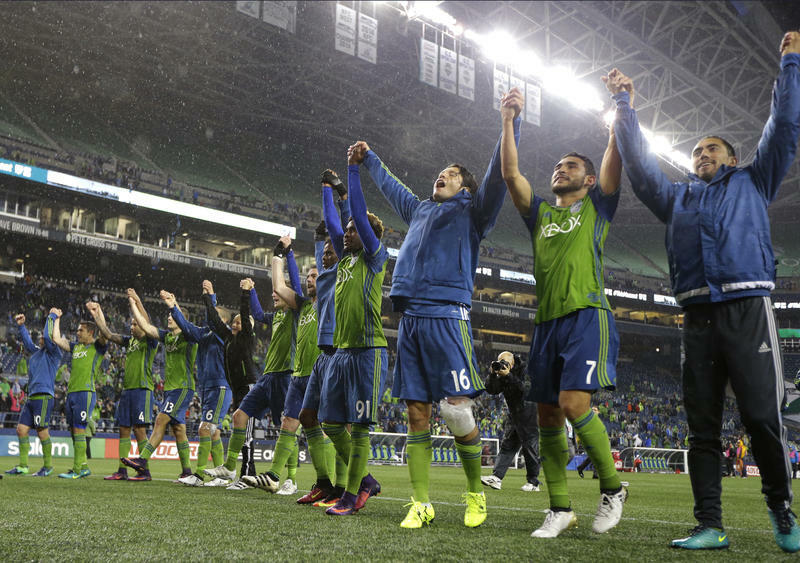 The Seattle Sounders and LA Galaxy meet Sunday in California for the first of two games in Major League Soccer’s Western Conference Finals. 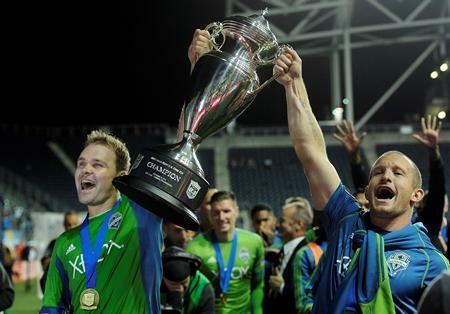 KPLU sports commentator Art Thiel says this series is not the MLS Championship, but it might as well be.